You perhaps would be able to rule the world, if not the whole entire world, certainly, your world by changing criticism into encouraging “Terms of Endearment.” You would see the doom and gloom portions of your life as bright and full of healing sunlight. Let us take an expression of disapproval, make it approval, fault finding, making it an authorization, having a condemnation, turn into consent, dealing with recrimination and blame turning into acceptance and reception. Are you getting the point? If we continuously turn critical judgments and take fault, we are hurting the stem of our mental and physical wellbeing. I know, I have lived with criticism as a means to motivate me to do better, produce more, climb higher and it worked until it didn’t. What if you and I take the criticism we get in the next few days and turn it into “Terms of Endearment,” what will change? When a critical moment comes and you are actively changing that moment into love, acceptance and affection, then you feel the internal change immediately. You are so stymied; you do not know how to react. You do not even remember having to feel this way before now. Heretofore, upon hearing criticism, you have turned yourself into a stick, a brick, and an inanimate object in order to ward off the attack. Instead you have created a complex new relationship with self-enjoyment. Yes, enjoyment. When you are actively changing negative messages into love and affection, approval and acceptance, you feel proud, strong, valued, a prize with great worth. Honestly, if you surround yourself with constant barrages of endearment, you will rule. You will rule a kinder, happier self, you will spill this endearment over into your family, community, your place of work and in that way rule your world from a satisfied, cheerful place. Congratulations on a good positive choice. Remember, this seed of turning criticism into “Terms of Endearment” has been planted and you have to practice this concept to make it grow and flourish in your life. 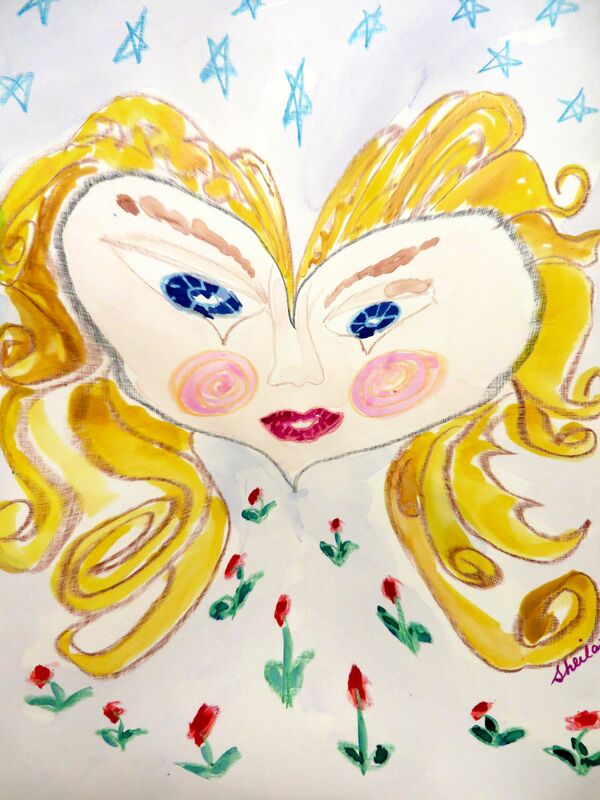 Thanks for continuing your blog as they seem to strike a chord within me and keep me focused and seeking guidance……Term of Endearment especially today caught my focus and is worth sending forward……lalso liked this drawing..,very cheerful. You make working on a concept worth the time and effort. You care about creating and catching all of the “Terms of Endearment you can find. Hold on Brendie! I’ve always considered criticism to be my friend. How else can you know how to improve?